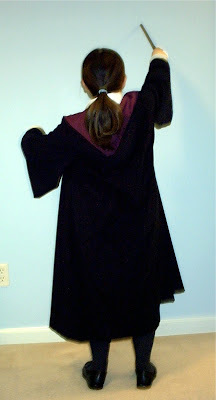 I made K's House robes last summer for the book release. 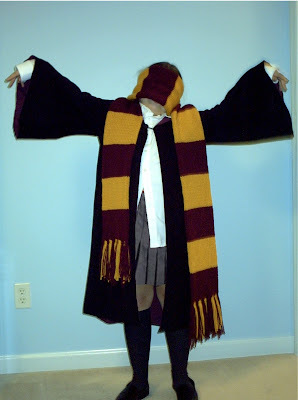 She was went as Tough Ginny Weasley. She looked great and played the part to a T. I started with Simplicity 4462. 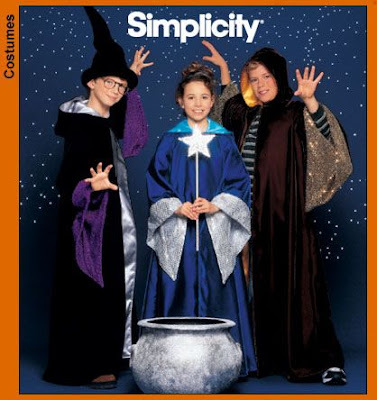 The robe in this pattern is the correct basic shape, though a few modifications were needed. The body needed more fullness and less length. 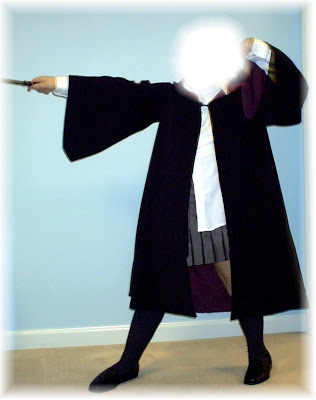 The sleeves were way too pointy and the hood not pointy enough. I found some very good drawings of the final shape of the hood and sleeves here. 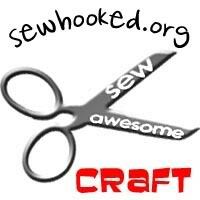 I used a black peach skinish material which hangs nicely and has a great feel. 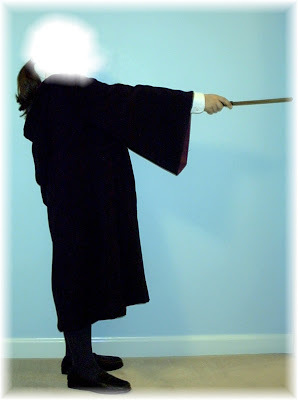 The robe is fully lined and has a wand pocket hidden inside. K went to a book release party with a friend of hers and they were the cutest things. While waiting in line to get into the party, I watched a reporter from a local station scanning the line. He stopped dead when he saw K and her friend. They charmed the mic right out of his hand and were featured on the news that night and the next day. They had so much fun!